Why not Be among the first to have an opportunity to view the full exhibition of photographic works on display around the newly refurbished Virginia Court Hotel. 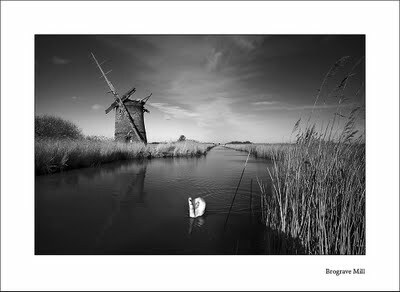 Exposure, features landscape works by local Cromer, Norfolk and East Anglian based photographers and demonstrates the full variety of the countryside and wide open beaches that surrounds us in North Norfolk. On display are works of art from the award winning David Morris, Brian Wells and members of the 'Painters with Light' collective including award winners Chris Herring, Jon Gibbs, Chris Calver and Ian & Sue Flindt alongside Chris Shepherd, Dave Peck and John Duckett. Most of the exhibitors are full time photographers and all pieces are available to purchase and take away, making a stunning momento of your visit to Cromer and North Norfolk. This launch event will be attended by several of the photographers where you will have the opportunity to discuss the technical and artistic skills behind their images. Taking place between 4pm and 7pm, with canapés and a glass of wine, it will be the perfect way to start the week in style! To receive your invite to the launch of this exhibition, please email at marketing@virginiacourt.co.uk and we will add you to the guest list and our mailing list for future news and event updates. Over the last few weeks I have been working with Kevin Goodchild and Dave Peck to create the website Images Of Essex. it is hopped to build the website into an extensive collection of pictures from all around our home county of Essex. The Site features a collection of galleries organised by season and a map of Essex to help you find photographs of your favourite location. The site was created using foliopic an new service providing websites for photographers and artists. Why not have a look at the site & let me know what you think in the comments section. Dawn, New Years Day 2010. 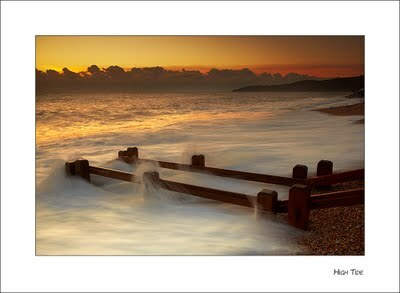 A time when sane people are in bed nursing hangovers, I was standing on a freezing cold beach at Beesands awaiting the sun-rise. Now this is not too unusual for me, I am often to be found on the east coast waiting for the sun to do it's thing over the sea. The main difference from my normal hunting ground of the East Anglian coast was the pounding waves hitting the shingle of the beach. Each wave hit the sound with a loud crash which made it easy to see the damage the sea can do. There is a myth that every seventh wave is a big one, but I'm not convinced this is particularly true. Having watched the waves for a while, I noted where the big waves were landing and took up position some 6 feet further up the beach for safety and started to compose an image of the sunrise with the beach steps as foreground. I had just taken my first shot, when looking to my left I saw something that scared the bejesus out of me. Coming towards me was a wave of tsunami proportions. It hit the beach with an ear splitting CRASH!! My immediate thought was "this is going to go over my wellies". I took a couple of steps up the beach and kept firing the camera shutter release. The wave hit me. The water quickly topped my wellies and kept rising. I started to panic - this could ruin the camera if the water keeps rising! It kept rising, up to a few inches below the camera and right up to my waist. The ice cold water took my breath away. Then the wave moved back out and I started to panic. The force of the wave started to pull my feet from under me and I grabbed on to the tripod for support. You can always tell if a photographer is really hurt or not - if he says "is my camera all right?" he isn't really hurt. In my case I stopped worrying about the camera and just held on to the tripod for dear life. The wave receded and I found myself soaked through but with a dry camera. I decide that discretion was the better part of valour and headed back to the car and a chance to dry out. This was the shot I got just before my soggy pants experience!